Certified Professional Inspector (CPI)® IN TENNESSEE! 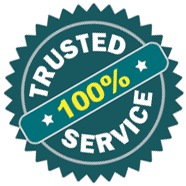 Wise-Up Home Inspection, LLC is your Certified Professional Inspector (CPI)®. We serve the Knoxville area and surrounding counties and offer a full inspection service for residential and commercial/industrial properties. 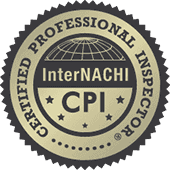 As qualified members of the International Association of Certified Home Inspectors (InterNACHI) we are properly trained to meet all of your inspection needs. At a young age Jeff started his passion in construction, both in residential and commercial. As a trusted Certified Professional Property Inspector, completing Residential Home and Commercial Inspections. He is certified through InterNACHI and the State of Tennessee. He has over 30 years of experience in building trades. You will be treated with the utmost respect and professionalism that is expected. We understand that buying or selling a home can be stressful so we strive to make the process easier by giving a quality inspection with peace of mind. The process can be stressful. A home inspection is supposed to give you peace of mind, but often has the opposite effect. You will be asked to absorb a lot of information in a short time. This often includes a written report, photographs and what the inspector himself says during the inspection. All this combined with the seller’s disclosure and what you notice yourself makes the experience even more overwhelming. What should you do? Anything in these categories are recommended to be addressed. Often a serious problem can be corrected inexpensively to protect both life and property (especially in categories 2 and 4). Most sellers are honest and are often surprised to learn of defects uncovered during an inspection. Realize that sellers are under no obligation to repair everything mentioned in the report. No home is perfect. Keep things in perspective. Do not kill your deal over things that do not matter. It is inappropriate to demand that a seller address deferred maintenance, conditions already listed on the seller’s disclosure or nit-picky items. Certified Professional Inspectors (CPIs)® are the best inspectors in the world. CMI is a professional designation available to all qualifying inspectors who wish to become Board-Certified by the Master Inspector Certification Board. At Wise Up Home Inspection. We abide by the Code of Ethics. And take each and every property inspection with dedication and seriousness that it deserves. “Jeff was very helpful for our home inspection. As first time home buyers and moving to Knoxville from out of state, we needed someone who was knowledgable and trustworthy, and we found that in Jeff. He took his time to go over every bit of the house, and answered every single question I asked, even if the questions were a bit naive. My husband and I appreciated his thoroughness and kindness, and if we ever buy a house in the future we will certainly call Jeff.” ~Nancy and Seth L.
For starters, I just want everyone to know that Jeff is absolutely amazing. We are first time home buyers and knew absolutely nothing about the way houses work. On our inspection day, Jeff went above and beyond his job. He explained everything that I would need to know about thoroughly. Aside from being very experienced and knowledgeable, Jeff is a very friendly and trustworthy guy and I HIGHLY recommend him to anyone! I guarantee you will not be disappointed with Wise-up Home Inspection. ~Angela S.
Jeff is knowledgeable and readily passes that knowledge on to you. Even a brief conversation with him gives you the firm impression that his number one concern is that your house is safe and that you know what you need to keep it safe and in good condition. ~L.R. All images of your inspection.